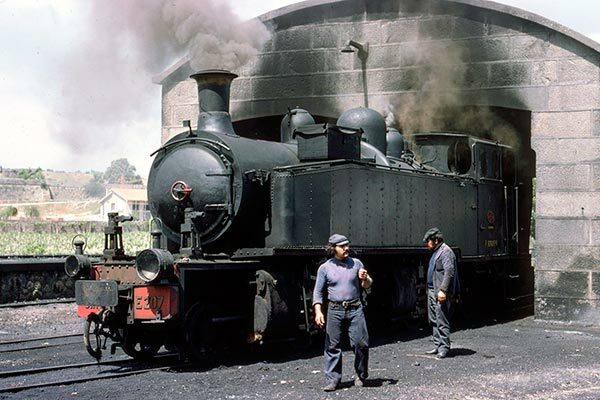 Caption - CP Portuguese metre gauge Compound Mallet 2-4-6-0T E207 is serviced at Chaves loco shed at the northern end of the line from Regua in Douro Valley. After coaling, watering and taking a rest, the loco and crew will head back down to Regua with a mixed train. Looking back it was a fantastic place to watch steam in action.